Designed for the little ones, the numerous range of games as for example the ramp mini slides, the mini channel runs, the thematic slides and the interactive water games. 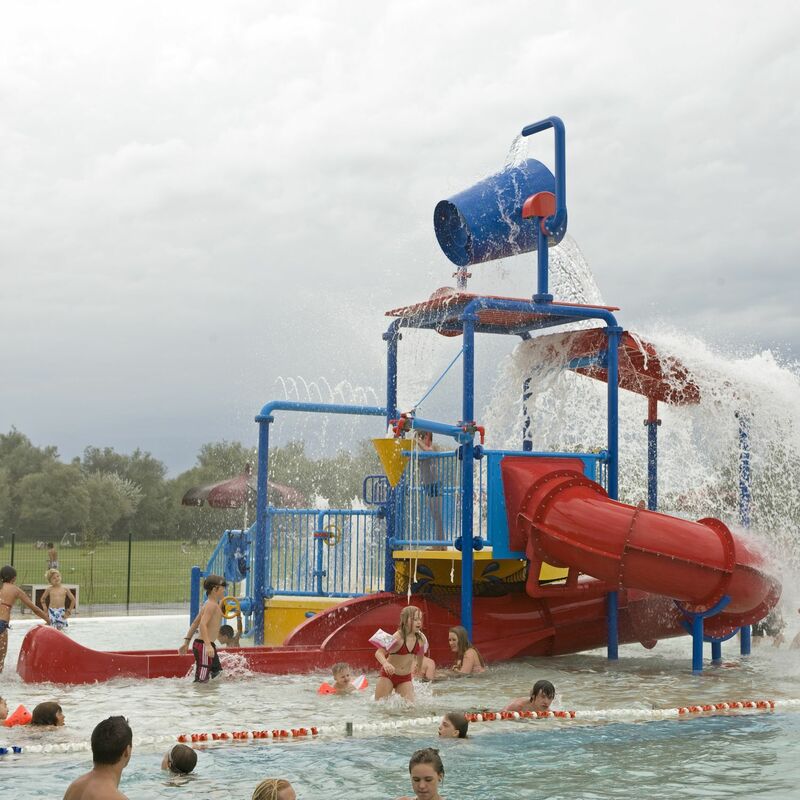 CEMI planned a water slide series capable to guaranty a balanced velocity and a secure pool arrival. An incredible success are also the interactive games, an incredible innovative attraction which encourage the children's imagination and thanks to the diving platform use, tube columns, slides, water splashes, hydro massage jet valves and much more, offer an unlimited playing opportunity in the pool.